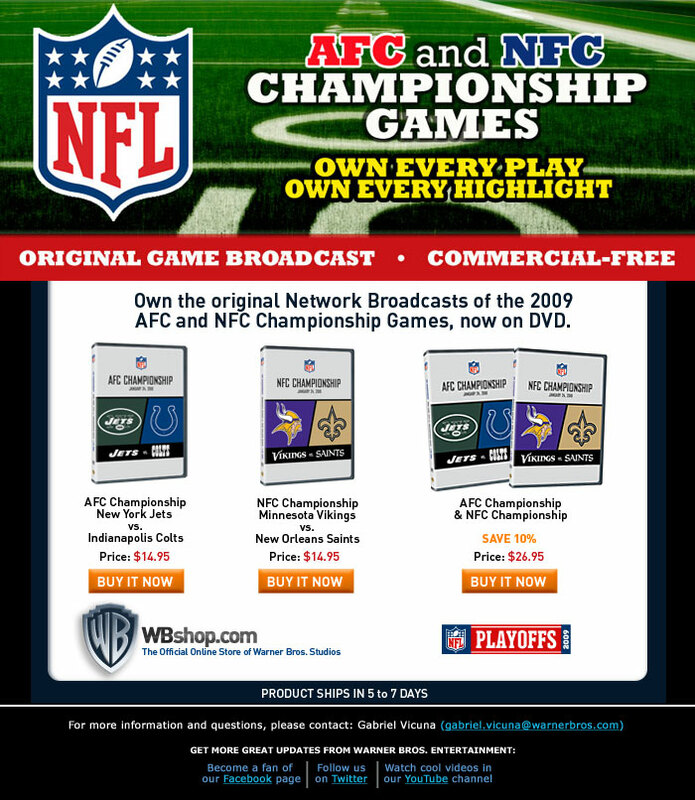 Relive the historic Saints win over the Vikings in the NFC Title game and the Colts march to Super Bowl XLIV with these official NFC and AFC Title Game DVDs brought to you by Warner Bros. This DVDs will NOT be sold in stores, and can only be purchased at the Warner Bros. shop, which can also be found by clicking HERE. The DVD of either game will arrive in a hard, Amaray case with artwork, and costs $14.95 per game or $26.95 for both games. 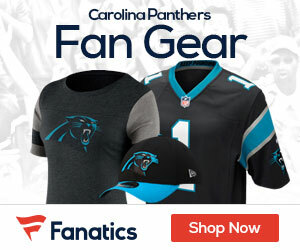 Relive history all over again, with Warner Bros. first time ever complete broadcast of the NFC and AFC Title Games!